IDBI LONG TERM VALUE GROWTH DIRECT PLAN is an open-ended equity scheme following value investment strategy. The Scheme is benchmarked to the S&P BSE 500- Total Returns Index (TRI). The Investment Objective of the Scheme is to generate long-term capital appreciation along with regular income by investing predominantly in equity and equity related instruments by following value investing strategy. However, there can be no assurance that the investment objective of the Scheme will be realized. Open-ended equity scheme following value investment strategy. 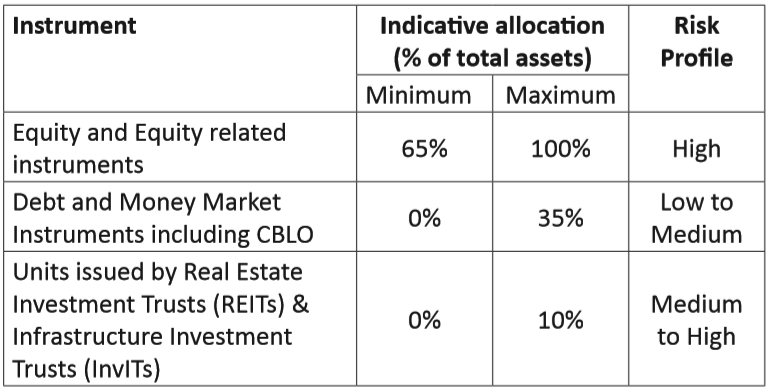 Exit Load: If rdeemed/switched out within 12 months of allotment, no exit load for upto 10% investment and 1% exit load beyond that. If redeemed/switched out after 12 months from the date of allotment exit load will be Nil. Ms. Uma Venkatraman has 15 years of experience in the financial services industry, with a focus on equities. Prior to becoming a fund manager, she was heading the Research function in IDBI Mutual Fund. Prior to joining IDBI Mutual Fund, she had worked with B&K Securities; ASK Raymond James, Morgan Keegan and UTI Mutual Fund.